An off-duty Georgia State police officer shot a man who was allegedly attacking her. 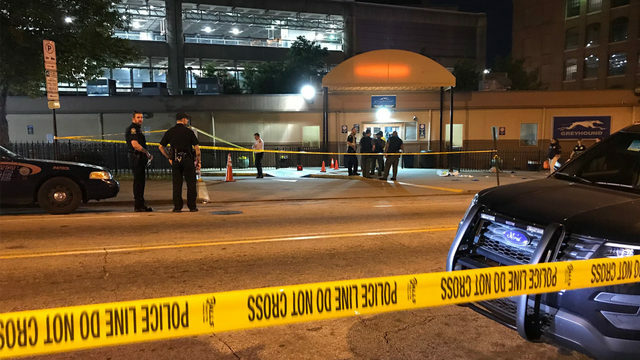 The female officer was off-duty at the time and was working as a security guard near the Greyhound bus station at 243 Forsyth St. SW when the man approached around 7:30 p.m.
GSUPD Chief Joseph Spillane told FOX5 the man in question was known to hang out in the area. According to Channel 2, the officer tried to de-escalate the situation by using pepper spray, but the man continued to attack her. The man is currently in Grady Hospital in stable condition. GBI Public Information Officer Nelly Miles tweeted that the agency has been called in by GSUPD to investigate the shooting. This is an ongoing story, please check back for updates. Last updated April 30, 2018 at 10:17 p.m.